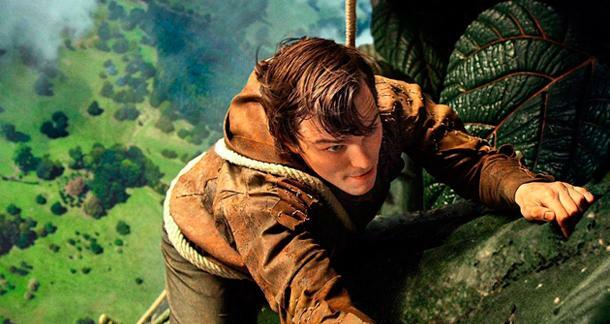 This month brought the premieres of Jack the Giant Slayer and Oz The Great and Powerful to our silver screens, and with them a reminder that we, as an audience, love twisted fairy tales. We want to draw back the curtain and see our most classic yarns spun from a different perspective. We want to root for the villain, blame the hero, grow to know that quirky little tertiary character who only darted across the page the first time we met him. So with that in mind, I’m bringing you a Top 10 list, but doing things a little differently this time around. I started writing about the Ten Best Twisted Fairy Tales, but realized that so many of them were about the same characters (mostly Snow White and Red Riding Hood, with a couple of Cinderellas thrown in for good measure). And that’s boring. So in the interest of variety, I chose ten of the most famous fairy tales or legends and selected a story that tells their tale with a twist. 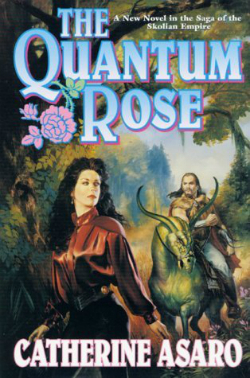 As interpreted by Catherine Asaro’s 2000 sci-fi novel The Quantum Rose. 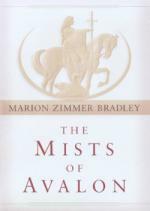 The book is part of Asaro’s Saga of the Skolian Empire and won the coveted Nebula Award for best science fiction novel. Kamoj is the beautiful young governor of an impoverished planet, betrothed to Jax, the king of a nearby province. She promises to marry him to save her kingdom, but Jax arrives masked and unpleasant, with rumors of monstrous – nay, beastly - behavior. As interpreted by John Gardner’s classic 1971 novel Grendel. 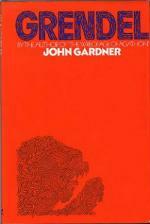 The book was adapted as an animated film in 1981 titled Grendel Grendel Grendel. Grendel, the existential hero. The villain of the epic Germanic poem Beowulf gets his own POV in Gardner’s book, sitting alone and peering into the mead hall where he yearns to understand, to join, to be accepted. 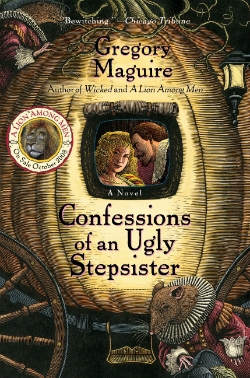 As interpreted by Gregory Maguire’s 1999 novel Confessions of an Ugly Stepsister. The book was adapted as a mini-series in 2002. Iris Fister is the “painfully plain-faced” stepsister to the impossibly beautiful Clara, who believes she is a changeling. 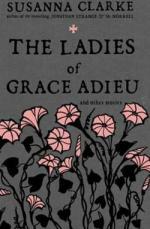 Iris and Clara live with Iris’ mentally handicapped older sister and strict mother in 17th century Holland, where Clara becomes an immensely talented artist – all the while encouraging her step-sister’s romance with Prince Charming. 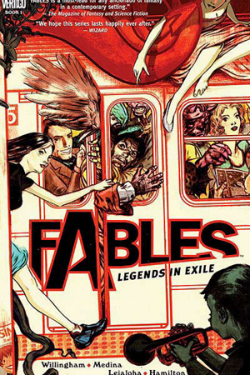 As interpreted by the 2002-present comic series Fables by Bill Willingham. The Fables series offers parallel versions of many fairy tale characters, all of whom were uprooted to modern day New York by a mysterious foe that overtook their magical lands. Jack’s a trickster and he gets around: he's the Jack you know from “Little Jack Horner,” “Jack the Giant Slayer,” “Jack and the Beanstalk,” “Jack and Jill,” “Jack Frost,” “Jack O’Lantern” and more. He’s a mischievous little climber always on the lookout for a quick payday, who eventually becomes a successful Hollywood producer. 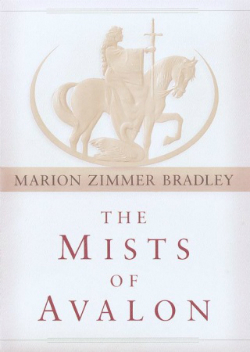 As interpreted by Marion Zimmer Bradley’s 1983 The Mists of Avalon, telling the Arthurian legend from the perspective of the women of the tale. This was made into a 2001 mini-series that does it no justice. The so-called evil Morgan le Fay, here Morgaine, is a heroic priestess who would do anything to save her matriarchal culture in a society where patriarchy is becoming the ruling factor. As Christianity threatens to overshadow Celtic paganism, Morgaine, Gwenhwyfar (Guinevere elsewhere) and the other women of Arthurian legend take the leading role. 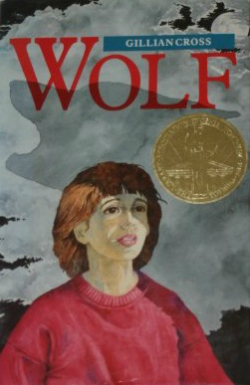 As interpreted by Gillian Cross’ 1990 young adult novel Wolf. The book won the Carnegie Medal in Literature as the best children’s book of the year. Wolf is set in the present day, following Cassy, a teen girl living with her severe, pragmatic granny until she’s suddenly sent to London to stay with her flighty mother. Cassy has frequent nightmares about the story of Red Riding Hood and is working on a play called Wolf when she comes to terms with the mystery of her father, who just might be the big bad wolf of her life. 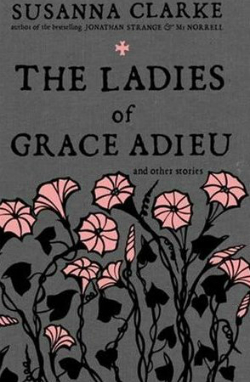 As interpreted by Susanna Clarke’s short story “Lickerish Hill” in her collection The Ladies of Grace Adieu, published in 2007. Clarke’s debut novel Jonathan Strange & Mr. Norrell is an original and instantly classic fairy tale in its own right, so the woman knows from fantasy. Taking place in 17th century Suffolk, the young bride Miranda uses magic to spin enough flax to satisfy her greedy and demanding husband. Miranda is visited by a sly dwarf who helps her complete her impossible task if she can guess his name. 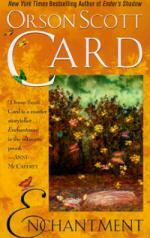 The story casts a dark eye on the forced subordination of women to their husbands. 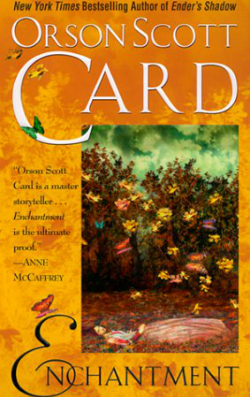 As interpreted by Orson Scott Card’s 1999 fantasy novel Enchantment, based on Card’s extensive research into Slavic history. A young Ukrainian linguist named Ivan travels from his home in the United States to his native village Kiev to attend grad school. There he discovers a beautiful woman sleeping in the woods whom he awakens with a kiss - only to learn that she is the Princess Katerina, fleeing the evil Baba Yaga. 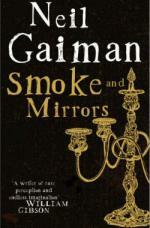 As interpreted by Neil Gaiman’s short story “Snow, Glass, Apples” in his 1998 collection Smoke and Mirrors. 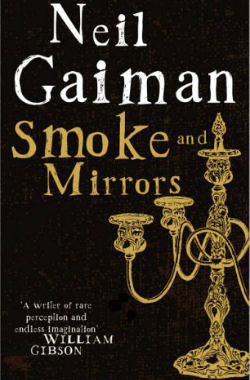 I considered including here Gregory Maguire’s Borgia-inflected book Mirror Mirror, but Maguire’s been well represented on this list and Gaiman certainly deserves a spot. The villainous step-mother is the victim of this version, doing everything she can to save her kingdom from her diabolical step-daughter, who is as powerfully monstrous as she is beautiful. But no one but the queen can see what evil lies beneath the snowy skin, blood-red lips and ebony hair of Snow White. 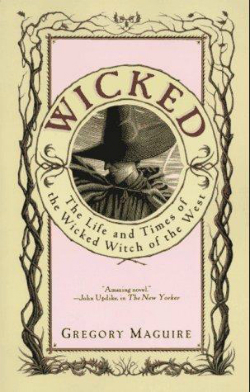 As interpreted by Gregory Maguire’s 1995 novel Wicked: The Life and Times of the Wicked Witch of the West, the first in The Wicked Years series, which I recapped here in anticipation of the final book, Out of Oz. 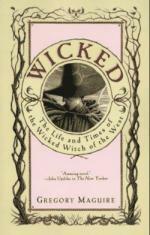 Wicked was adapted as a very popular Broadway show. Elphaba, later to be known as the Wicked Witch of the West, is a prickly, green-skinned genius who spends most of her life trying to do the right thing and stay out of everyone’s way. Does fate lead her down the path to ruination by a big-boned farm girl named Dorothy, or is it Elphaba’s own stubborn determination to do things her way? So what did I miss? Name your favorite twisted fairy tale versions or parallel novels in the comments, and let me know if you agree with my picks! Beauty by Sheri S Tepper both syfi and fantasy of the would be sleeping Beauty and her offspring who fall into fairy tales.